Piping recycled wastewater to farmers is enticing, but is it economically feasible? 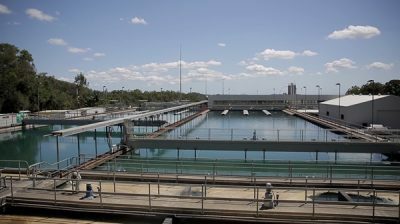 MORE than 100,000 megalitres of wastewater is released by treatment plants directly or indirectly into Moreton Bay near Brisbane every year. For several years calls have been growing for that treated water to be pumped and piped to irrigation areas in the Lockyer Valley and over the Great Dividing Range to the Darling Downs. Such a project is seen as delivering two major benefits: providing valuable water to boost agricultural and industrial production west of Brisbane, while also helping to reduce the increasing cost of managing the environmental impacts associated with treating South East Queensland’s wastewater and disposing the effluent to sea. The concept is seen as a ‘win-win-win’, Queensland Farmers Federation CEO Travis Tobin said – a win for framers and regional communities, a win for the environment, and a win for water recyclers. Well before the current drought, a feasibility study into the viability of using recycled water from South East Queensland was funded by the Federal Government and led by the QFF, with the support of a wide range of farming bodies, regional development groups, local governments and waste water treatment facilities. The study was undertaken because the Darling Downs and Lockyer Valley are the two of the most productive agricultural regions in Queensland, but regions where agricultural expansion is constrained by water. Despite the underpinning arguments in favour of the study, the feasibility study completed in July found the economics still don’t stack up – for now at least. The final report found that the cost of developing the infrastructure required to pump and pipe water from treatment plants in and around Brisbane to farmers further west still far outweighed the economic benefits that would be returned. A water treatment plant north of Brisbane. Image: Unity Water. The study considered a business case for building the necessary infrastructure to divert up to 84,680 megalitres of treated water per year to agriculture and industry on both sides of the Great Dividing Range. 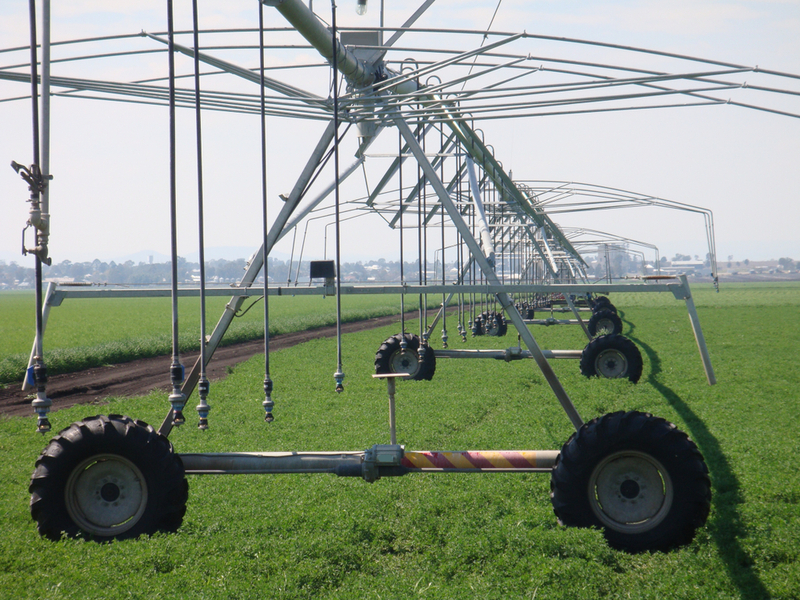 The study found there was indeed significant demand for additional water from irrigators on the Darling Downs to increase yields of existing crops and to expand the area of crop production. Demand was also identified, although far more limited, for the expansion of vegetable crop production the Lockyer Valley. The demand assessment concluded that the price of water that could be sustained by agricultural businesses was likely to range from $300 to $500 per ML per year. The preferred infrastructure option identified by the study involved building new pipelines and pump stations to deliver class B/C water from recycling plants to the Lockyer Valley and to the top of Toowoomba Range and distribution networks to Lockyer Valley and Darling Downs. That option, which was the lowest cost of four options considered, would cost in the vicinity of $1.9 billion in total, taking into account initial infrastructure costs, plus ongoing water treatment and energy costs. However, the anticipated direct economic benefits were likely to total around $637 million, well below the cost of the scheme. In effect the report found the upfront infrastructure development costs would be too great, with revenues that could be derived from the project insufficient to recover the financial costs to be incurred. The project would therefore require significant government funding in order to be financially viable, the consultants who conducted the study concluded. However, despite that finding, QFF CEO Travis Tobin said the study had identified some of the key future step-changes in policy and technology that would be required to improve the economic viability of the project. “Government and private stakeholders may find the information in the NuWater Project useful in planning better utilisation of existing water infrastructure to increase the capacity of agriculture in the Lockyer Valley and Darling Downs in the future,” he said when the report was released. This study was supported by funding from the Australian Government National Water Infrastructure Development Fund, an initiative of the Northern Australia and Agricultural Competitiveness White Papers. While the NuWater project is effectively on hold for now, another farming group is about to study further options for improving water security in the Lockyer Valley. The Lockyer Valley and Sommerset Water Security Collective has recently obtained a $1.4 million grant from the Queensland to investigate all water options and pipeline routes available such as Wivenhoe Dam Water, Recycled Water, or combinations of water sources, to find a solution that benefits the entire community. The Queensland Government has also approved up to $1.9 million in grant funding for both the Toowoomba and Lockyer Valley regional councils to advance infrastructure projects from ideas into solid proposals, under round two of the Maturing the Infrastructure Pipeline Program. To view the full NuWater Project report click here: click here.